Rani Jarkas, the Chairman of Cedrus Investments. In my recent blog post (https://ranijarkas.wordpress.com/2014/05/21/cleantechnology-insights), I explained what cleantech is and why it matters to us. You might have seen my another cleantech themed article here: http://www.briefingwire.com/pr/rani-jarkas-Cleantech-wisdom. I am very happy to have received so much positive feedback and support, therefore, I would like to continue the topic and share some of my thoughts and insights that I have gleaned from my work and research in the cleantech industry. After years of massive growth that took a heavy toll on the environment and natural resources, China now has an ambitious plan to tackle its energy needs by developing clean energy alternatives. Back in 2010, China’s primary energy consumption rose to 3.25 billion tons of coal equivalent, making it the world’s second largest energy consumer after the United States. Today, China has a commanding lead in commercial cleantech investment past the US and Europe. Commercial cleantech investment had more than quadrupled from $30 billion in 2007 to nearly $160 billion in 2012, according to a recent report from the National Science Foundation on science and engineering indicators. China is a market rife with opportunities for cleantech companies. According to Ernst & Young (EY)’s report, China grabbed the number one spot on its Renewable Energy Attractiveness Index and was the largest recipient of clean energy investment in 2010. China generated 20 of the 38 global pure-play cleantech IPOs completed in 2010. Raising US$4.7 billion, Chinese transactions accounted for 49% of total global cleantech IPO proceeds. Combined with strong investor interest in China’s booming economy, these factors have led to a record-breaking spate of Chinese cleantech IPOs that is likely to continue. Solar, wind, energy storage and energy efficiency companies made up the majority of offerings, reflecting the major areas of cleantech development in China. In January 2013, China Cabinet approved an energy control target. The government aims to keep total energy consumption below 4 billion tons of standard coal equivalent by 2015, with electricity consumption below 6.15 trillion kilowatt-hours, according to Xinhua News Agency after a State Council meeting presided over by Premier Wen Jiabao. Cleantech in China will continue to be the next industrial revolution. As the transformation accelerates, global corporations across industries, governments and pure-play cleantech market leaders are moving quickly to gain competitive advantage. Are you ready to seize transformational opportunities in China? The renminbi is the official currency of the People’s Republic of China. The name literally means “people’s currency”. “Renminbi” or RMB, is also called the Chinese Yuan or CNY, and the CNH when traded offshore. Whichever name it answers to, one thing is certain: the RMB is here to stay, and it’s changing the way the world does business. In 2005, the value of the renminbi was pegged to the U.S. dollar. Since 2006, the renminbi exchange rate has been allowed to float in a narrow margin around a fixed base rate determined with reference to a basket of world currencies. In March 2011, the Former Premier Wen Jiabao said that China would continue to gradually increase the flexibility of its exchange rate. 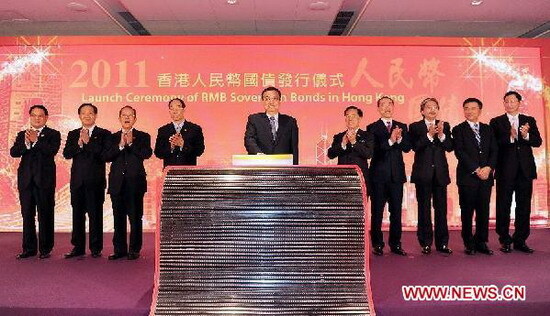 In August 2011, Vice Premier Li Keqiang started launch ceremony of RMB sovereign bonds in HK. In September 2013, Li Keqiang, who took over as Premier in March, vowed to overhaul state-dominated financial institutions, liberalise interest rates and eventually make the renminbi freely convertible in a sweeping restatement of the newly installed government’s economic reform agenda. He said his government intended to take “gradual and active steps towards market-based interest rates and the exchange rate of the renminbi,” and “gradually achieve full convertibility of the renminbi under the capital account”. Angola is a country of 482,625 square miles in western Africa, bordering Namibia to the south, the Atlantic Ocean to the west, Zambia to the east, and the Republic of Congo to the north. The oil-rich enclave of Cabinda lies north of the Zaire river. Angola is a potentially one of the richest countries in Africa. Petroleum in the Cabinda enclave; diamonds in Lunda; and iron, phosphates, copper, gold, bauxite, and uranium in the other provinces are some of the natural resources. This year Angola’s economy is expected grow by eight percent as it becomes the second biggest producer of oil in Africa. In the capital city of Luanda, the skyline is now filled with newly-built skyscrapers and each month more businesses are beginning to populate the area. Economic growth is beginning to transform Angola into a country filled with business opportunities. “My long-term commitment to Angola is focused on helping local communities to realize the value of growth in the region and building wealth for locals. My approach strategy is to create win-win situation for local governments, companies and investors. As Angola is opening its market to foreign investors and is actively seeking partners to contribute towards its industrialisation, forward-looking investors should invest in Angola for its substantial long-term potential,” Rani added.